Here at Wall 2 Wall Hardwood Floors, we are your one stop shop for high quality products and services for any of your hardwood flooring needs. We offer a long and comprehensive list of services, including hardwood floor installations, repair, and refinishing. Refinishing is a great way to upgrade the look and feel of your home, without going through the time-consuming and expensive process of installing all new flooring. If you want a change of color, we can even add a new stain to it. We have several options for you to choose from so we can ensure that you will get the look that you want. The refinishing process includes sanding down the hardwood floor, re-staining, re-coating, and sealing. If you have hardwood flooring in your home already, and would like to restore its beautiful and original look, contact us today and we will give you information about our refinishing services! Our friendly and experienced employees are happy to answer any questions you have and give a free estimate, along with any advice or suggestions upon request. In addition to the outstanding finished product, we also guarantee great customer service. Our staff is trained well and able to tackle any challenge, working with you along the way in order to leave you satisfied with your beautiful new hardwood floor. We are committed to our customers and our top priority is keeping you happy before, during, and after the job. 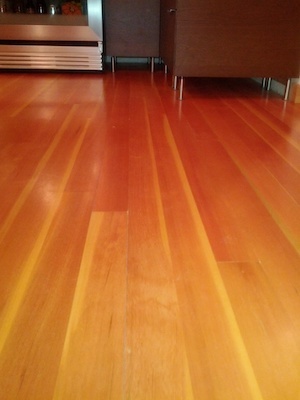 Give us a call for any of your hardwood flooring needs in the Portland, Oregon area!